Sponsored: CF x Polyvore Designer Collective Feature! Our friends at Polyvore just launched their new Designer Collective effort, a “program developed to help boost awareness for up-and-coming talent in fashion and design by placing their products in front of millions of consumers”. 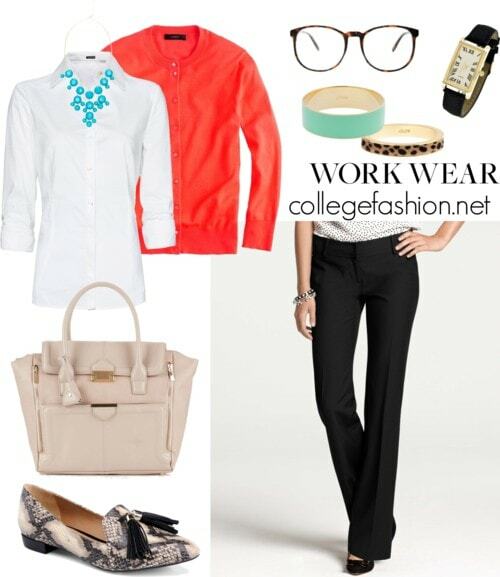 To celebrate one of the new designers on their site, Polyvore challenged us to style a piece from designer Madison Harding into a look that would be perfect for a college girl at an internship or job. Check it out below and click on the look for full details! Disclosure: This post was sponsored by Polvyore. The opinions, as always, are our own. For more information, see our Disclosure page.